The cast is now set for In Transit on Broadway. Among the stars are two stage favorites and former Broadway.com vloggers: Telly Leung and James Snyder. The a cappella musical by Kristen Anderson-Lopez, James-Allen Ford, Russ Kaplan and Sara Wordsworth will begin performances on November 10 at the Circle in the Square Theatre. The musical, which previously played Primary Stages in 2010, follows a group of 11 New Yorkers as they navigate the streets (and tunnels) of the city. Members of the ensemble takes on several roles, including an aspiring actress, a Wall Street honcho, a street performer, a cab driver and more. 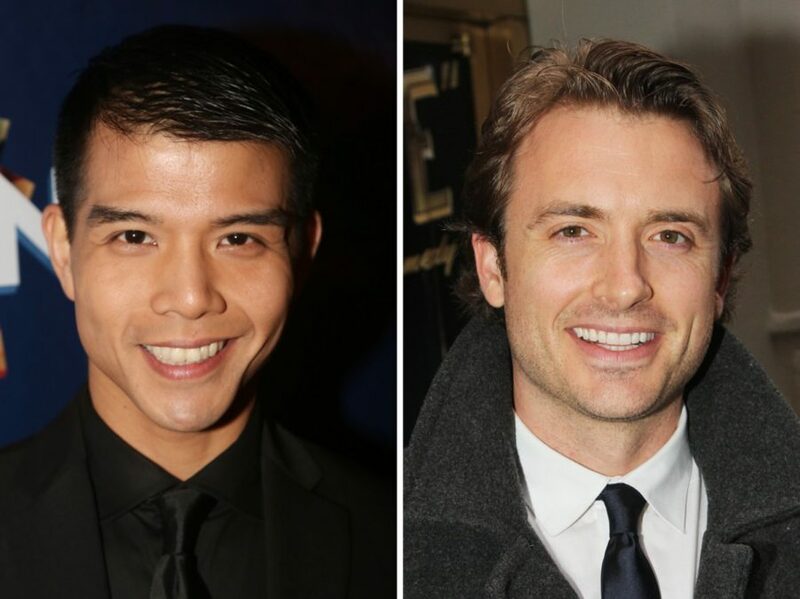 In addition to Leung (Allegiance) and Snyder (If/Then), the lineup will include American Idol alum Justin Guarini (Wicked), David Abeles (Once), Moya Angela (The Lion King), beatboxer Steven “Heaven” Cantor, Erin Mackey (Amazing Grace), Gerianne Pérez in her Broadway debut, Margo Seibert (Rocky), Mariand Torres (Wicked) and Nicholas Ward (On the Town). Rounding out the cast are Chesney Snow, Adam Bashian, Laurel Harris and Aurelia Williams. The production will feature vocal arrangements by Deke Sharon, set design by Donyale Werle, costumes by Clint Ramos, lighting design by Donald Holder and sound design by Ken Travis. Opening night for the Kathleen Marshall-helmed production is set for December 11.